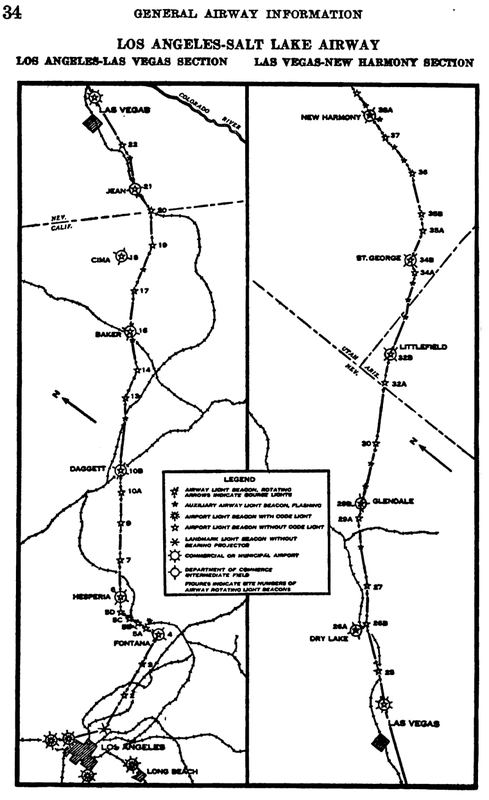 I found a document online that shows the details of several airmail navigation routes, including the route from Los Angeles to Salt Lake City. The beacon/arrow sites that I have been posting about are all on that route. 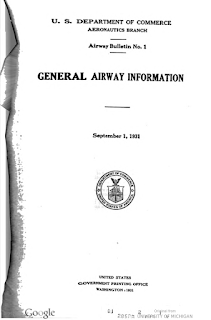 The US Government Printing Office published an "Airway Bulletin" document for the US Department of Commerce. 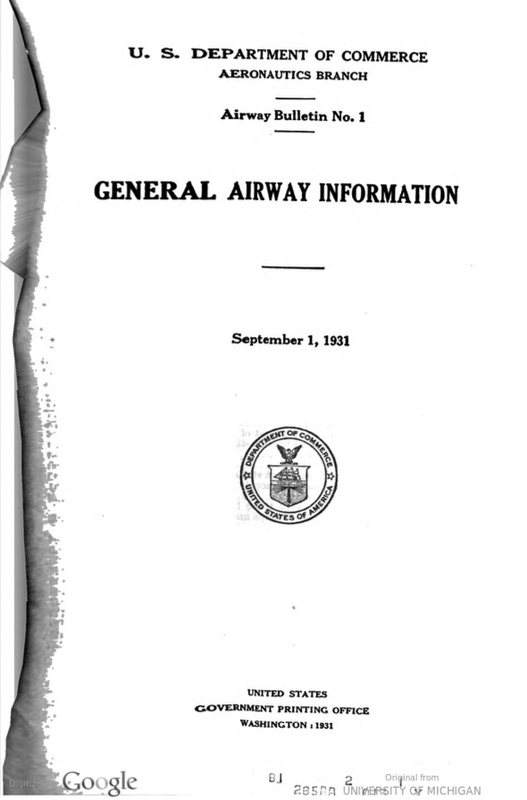 It's titled General Airway Information and dated September 1, 1931. Google scanned the original that was sourced from the University of Michigan. I found the document here. 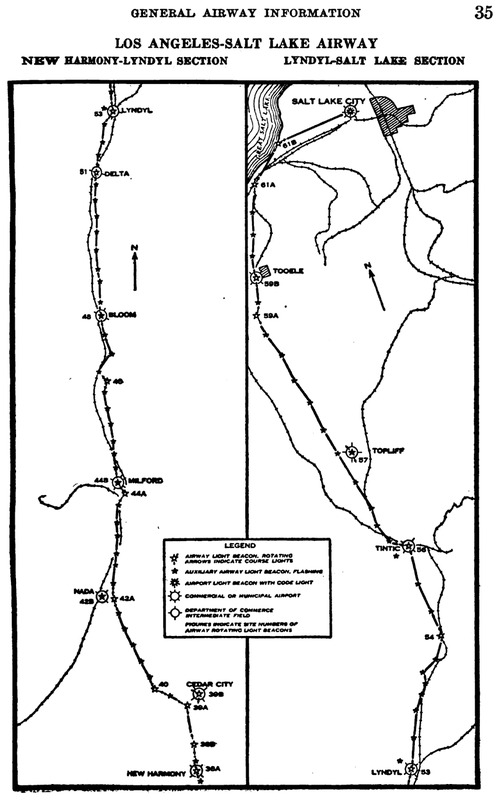 The LA-SL route is shown in the image below. It's broken into 4 segments: from Los Angeles to Las Vegas, Las Vegas to New Harmony, New Harmony to Lyndyl, and Lyndyl to Salt Lake. These images are posted below as PNG images and they're larger than appear here. Click on them to see the larger image, or right-click to download the linked image file. The beacon numbers don't match exactly what I've been seeing on other web sites. For example, the map shows beacon 38A at New Harmony, UT with another beacon very close (likely 38). This web site shows beacon 38 to be at Quail Creek. Quail Creek is nowhere near New Harmony. And I know there's at least one more between Quail Creek and New Harmony, at Black Ridge. I can't reconcile those discrepancies. 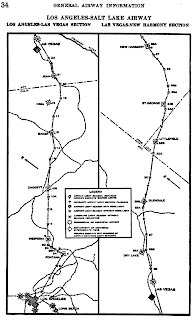 Maybe these maps show newer beacon numbers, since the document is published many years after this route (Contract Airmail Route 4) was first flown by Western Air Express in 1926. 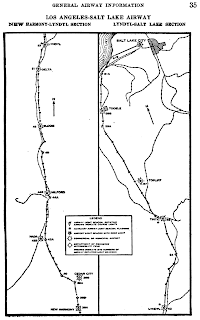 Or maybe the map shows an original planned route, but additional beacons were later added, without updating the government's maps. Who knows.